The Sparrow & The Hawk, Limited Edition Print by Jack Vettriano was released in 2013. Released as a Limited Edition Print of 250 with 25 Artist's Proofs and available mounted only, or mounted and framed. 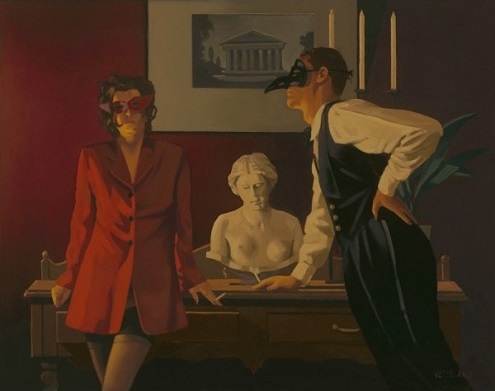 The original painting of The Sparrow and The Hawk was originally shown at Vettriano's A Date With Fate Exhibition and can be found in his book Lovers & Other Strangers.